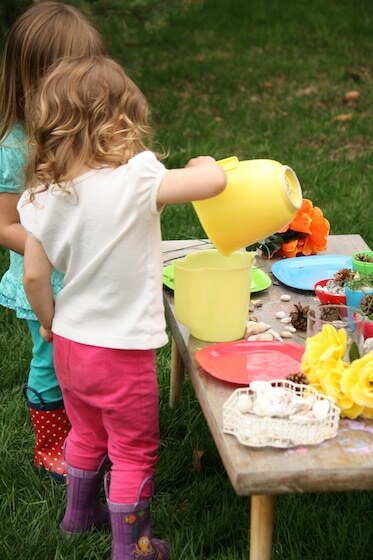 Set up a pretend tea party play in the backyard where the kids can make a mess, use their imaginations, and get creative exploring items found in nature. 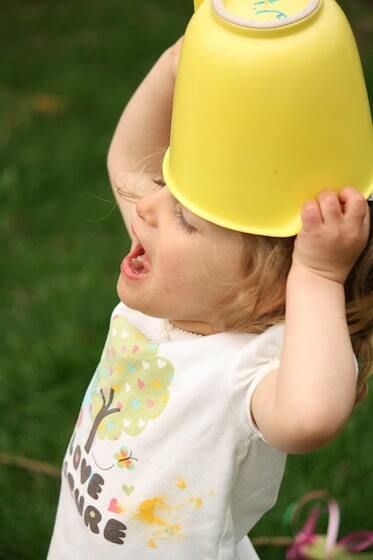 Remember how much fun it was to play “tea party” was when you were little? Pouring and measuring and serving cups of “tea” to your friends and parents, or to your dolls and teddy bears? 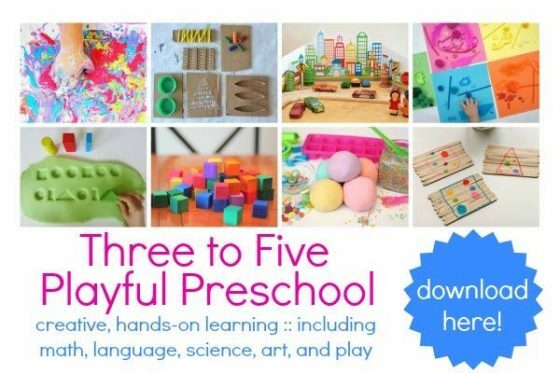 I always find that kids are happiest when they’re engaged in pretend play, and the hooligans always seem to have the most fun with non-toys – undefined items and “loose parts” that can be anything they want them to be. 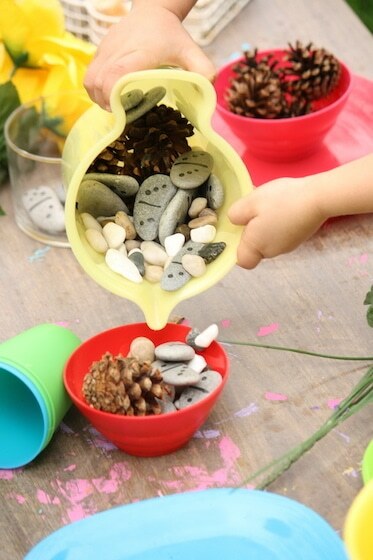 Items like this spark the imagination and foster creativity. 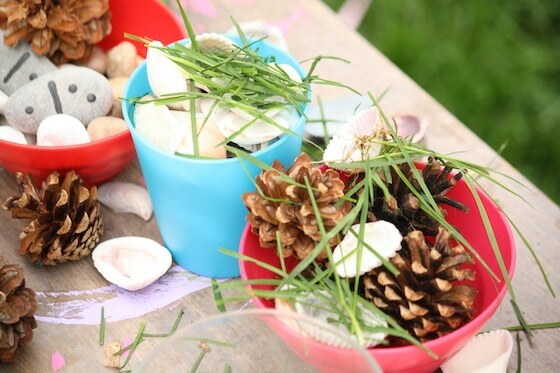 For our tea party today, I gathered up a bunch of natural items that we keep on hand for learning and play. 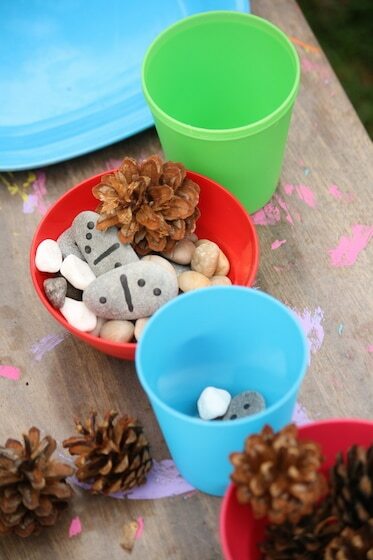 Toddlers and preschoolers love exploring items found in nature, so in our backyard play area we always have baskets and buckets filled with stones, sticks, pinecones, shells and artificial flowers. 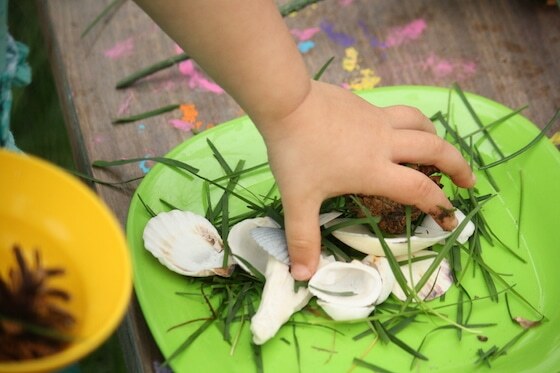 The children play with these items almost every day in our sandbox and playhouse. I realize that artificial flowers aren’t “natural” items but the hooligans love them. 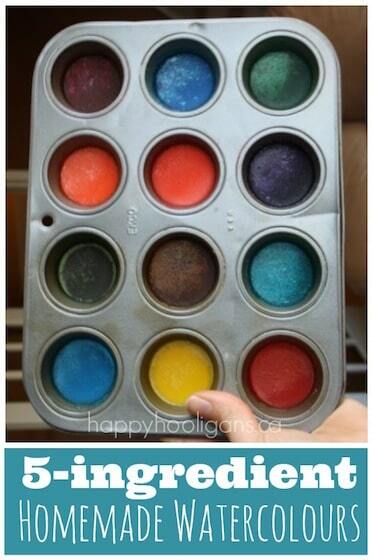 We use them in many of our activities, and they seemed like a perfect colourful addition to our theme today. 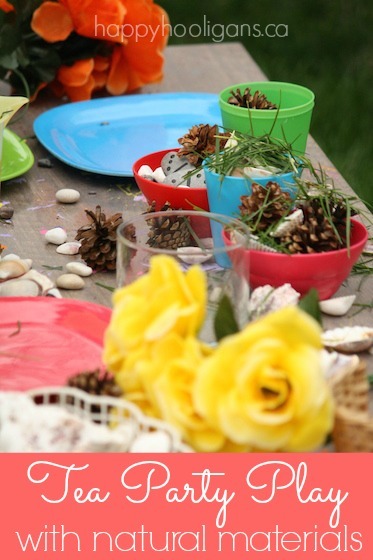 I set our 6 dollar thrift shop table in the middle of the yard, and topped it with a set of cheery plastic bowls, plates and cups that we use for outdoor play. Then, I set out several more bowls and baskets filled with our natural elements. It all looked very inviting! The girls spent ages exploring all the goodies on the table, and dishing up bowls of “soup” and “drinks” for each other. 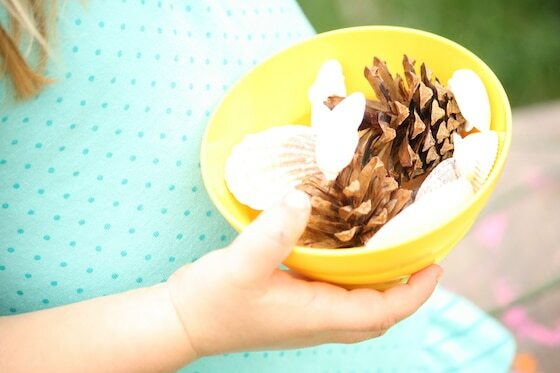 Crunchy, pokey pinecones, smooth beach stones and sea shells were the perfect ingredients today. 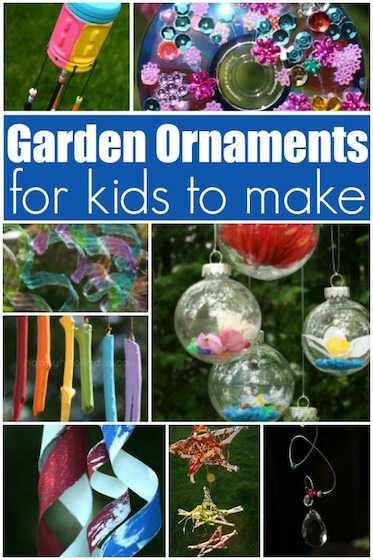 Of course they thought to add in a few extras of their own: grass and leaves from around the lawn and garden. There are no fancy toys required for this kind of play. Just happy kids, busy hands and a child’s imagination. If you ask the me that’s the best kind of play of all. And I do think the hooligans would agree. This is such a sweet tea party!! And what perfect natural elements. 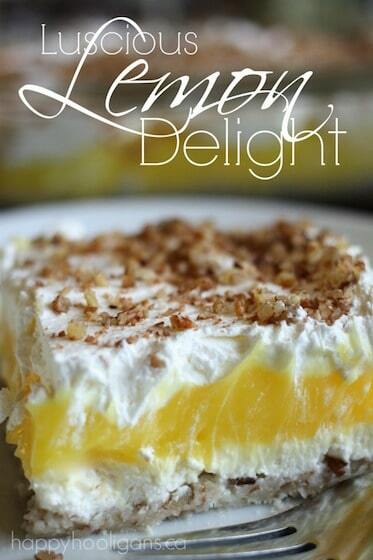 This is definitely going on our agenda!! This is beautiful, what fun! I love the rock dominoes too! 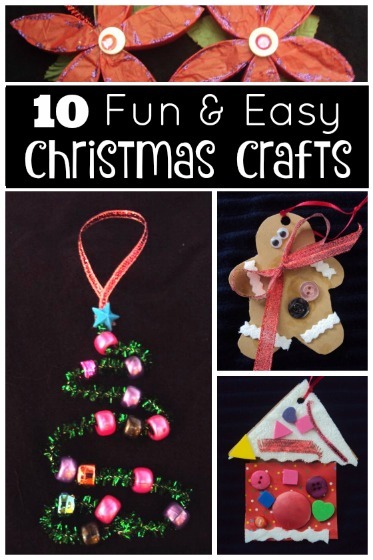 This is a fantastic activity! 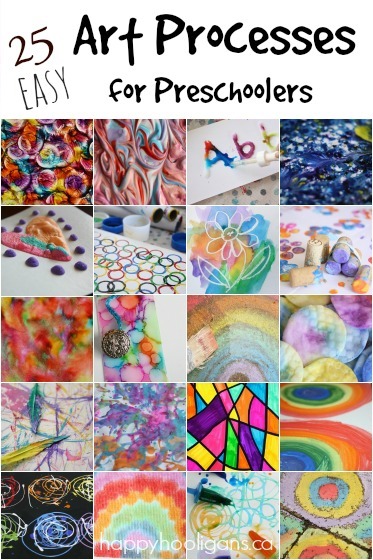 I love how creative and joyful your children are! What a fantastic afternoon. Thanks for this post.